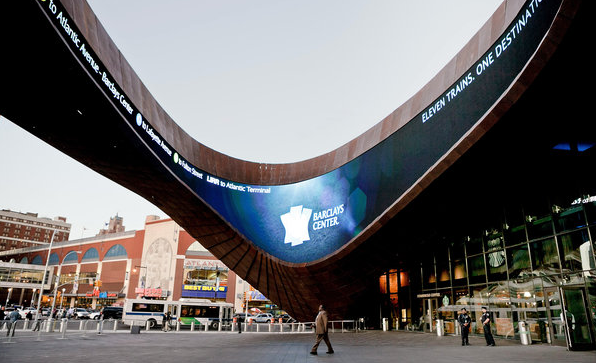 Lots of speculation about what an announcement with Gary Bettman, Islanders owner Charles Wang and New York mayor Mike Bloomberg at the Barclays Center would mean and it has been reported that the Islanders are set to start play in Brooklyn in 2015. Folks have speculated about this move ever since they broke ground in Atlantic Yards but now that it appears that it is happening, what does this mean going forward? Ultimately, the Islanders had to get out of the decrepit Nassau Coliseum because that place was such a dump that the team really could not play there much longer as it was killing the franchise. This was the only possible move short-term for the club to stay on Long Island after the Lighthouse Project was voted down last year by voters in Nassau County. But I have a hard time buying that this is a solution for the Islanders long-term. The Barclays Center was not built as a true multipurpose arena and it is a basketball arena, therefore capacity will be low at 14,500. Considering that the Islanders have been terrible over the past few years that is a suitable number in the short-term but the NHL does not want a major market club to be playing in an arena that small. It is one thing for the Winnipeg Jets, who play in a small market, but for the Islanders it will not work when the team rebounds and becomes very good again. Another major concern with the Barclays Center, and a concern that has been voiced by the commissioner himself, is transportation. Brooklyn is on Long Island but is on the most western part of the island, not close to the population center of the island as the Coliseum in Uniondale is. Plus a large number of Islander fans drive to games and as the team is moving 45 minutes to the west, that will be the predominent way those fans would get to the games. However, parking near the arena is pretty limited as there is a heavy push for folks to use public transportation. Long Island Rail Road does go to the arena but to expect a lot of folks to switch from driving to taking the train is a bit of a reach. I really do not buy that this is a long-term move and I feel that unless a true hockey arena is built (they are always talking about building one near CitiField) that this only delays the time until the club is relocated to Quebec City or Kansas City.